The French government has asked for a “gesture” on the rising price of motorway péages, in response to gilets jaunes protesters’ demands over buying power and rising prices. Transport minister Elisabeth Borne met this week (Friday January 4) with national motorway companies to discuss their possible response to the gilets jaunes’ demands. Péages have been the target of many gilets jaunes protests in recent months, due in part to their roadside visibility but also as a symbol of the rising cost of living. 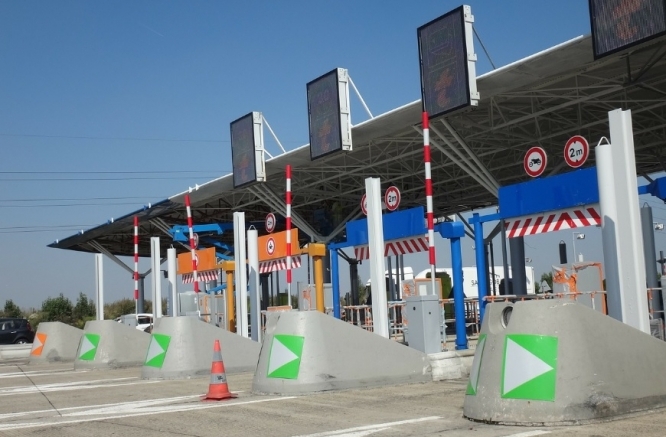 In December, motorway company Vinci Autoroutes said that the movement had caused “several dozen million euros” worth of damage across 250 sites, including péage booths, road signs, road markings, intervention vehicles, and barriers. Ms Borne explained that Friday’s meeting primarily discussed the damage inflicted to péages by protesters, but also sought to address the companies’ plans regarding the imminent rise in péage fees set for February. Currently, péage fees are expected to rise by 1.8-1.9% from February 1, 2019; compared to a 1.55% rise seen in 2018. This has been blamed on companies needing to “catch up” their funding after the freeze in péage rises imposed by then-Environment minister Segolène Royal in 2015, and on the financing of the €700 million motorway investment plan announced during the presidency of François Hollande. In a statement, Ms Borne’s office said that no definite conclusions on fee rises had yet been decided. The minister added that péage fee rises are often “written into contracts” and can be difficult to avoid. Yet, she said that her department has no intention of “freezing” fees as a possible solution, as this is “counterproductive to the buying power of users” and leads to higher jumps in cost later on. But Gérald Darmanin, minister for action and public accounts, said in December that it would not be “very reasonable” to rise the price of péages in the current social climate, and called on companies “not to give mixed signals for the French people”.